How Far is Truspace Prima Domus? Truspace Prima Domus is a huge township that has exclusively built residential apartments in the heart of Balewadi, Pune. 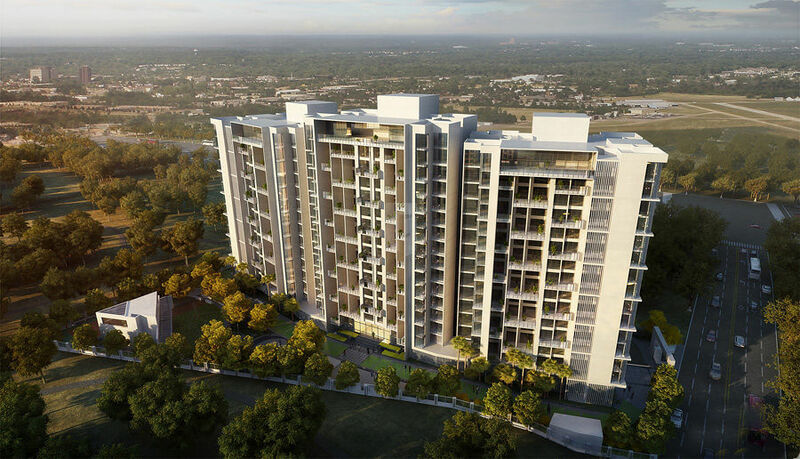 Built by the prominent developer, Truspace, the property is located in the popular neighborhood of Pune and offers beautifully crafted 2BHK, 3BHK and 4BHK flats. So if you are looking for a home that fulfills every requirement without burning a hole in your pockets, do not miss out on this opportunity and book yours now! Oil bound distemper paint for inside walls. External acrylic emulsion paint. Renowned modular switches for the entire flat. Concealed multi strand fire resistant copper wires with MCB & ELCB. Provision for AC point in master bedroom TV and telephone points in living room and master bedroom Ample light and plug points in the entire flat. Provision for Inverter back up for each flat for at least 3 lights and 2 fan points. Wall tiles upto 7 feet height in bathrooms CP & sanitary fittings – GROHE/JAQUAR / equivalent make fittings in all toilets Wall hung WC Hot & cold single lever diverter Provision for exhaust fan in all toilets. Basin in master bathroom.